I’d like to welcome author John Theo, author of The Grotto Under the Tree to DJ’s Book Corner. Thank you for taking the time to come dish it up with me! I started writing in high school for fun but the idea really hit me in my twenties. After graduating college and entering the business world I realized that money was not a goal in life. I also lost my mom in my twenties, which was a wake up call for me. I took stock of my life and wanted to focus on something I was passionate about. I believe The Grotto Under the Tree is your first fiction book. 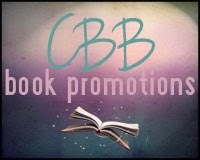 When did you first conceive the idea for this novel? What inspired you to write it? I started writing it after 9/11. The tragic event was a wake up call for a lot of people. I had always assumed that I would gravitate towards Fantasy and Sci-Fi even though my interests in other genres vary. Sum the main characters Sarah and Sebastian up in three words. If The Grotto Under the Tree were a movie, what would be the perfect first song on the soundtrack? Probably something from Enya. I love "Evacuee" which is a song about children leaving their parents during WWII to go out to the country and away from the bombing. It would be fitting for the story as the children are leaving their families to go on this journey. There are also a lot of Christian artists I enjoy which would be fitting for the character's journey. Caspian is one of them. I would love for any of their music to be on a movie soundtrack. What do you like best about writing middle grade fiction? I love how you can address adult or adolescent themes in this genre. You can't do that in adult fiction. With young adult fiction, you can focus on life-and-death themes or someone's first crush. The range is limitless. I don't need it super quiet, but peaceful, if that makes sense. If it's too noisy, I put on music or headphones. I do listen to music when I write (more for editing as I don't have to focus as much). 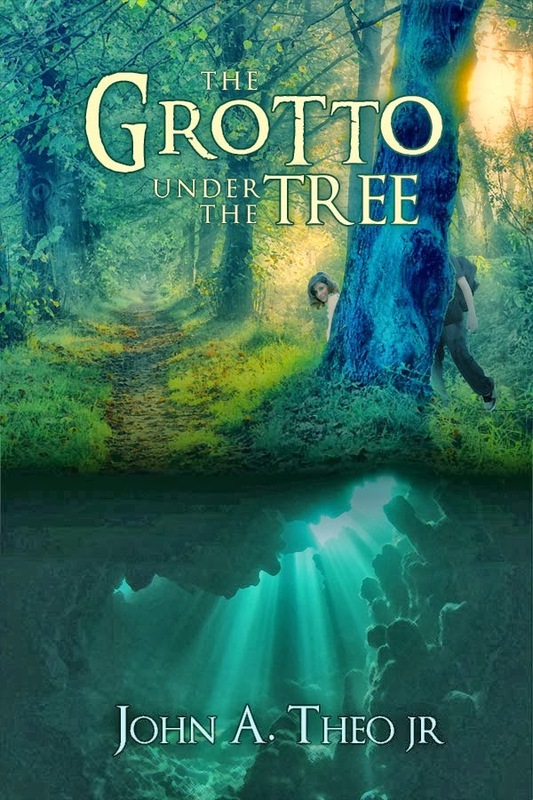 I listened to artists like Enya and classical music when writing Grotto. I also listen to a lot of Christian music. Tolkien and Lewis were the most influential authors in my writing of this book. I also spent a lot of my childhood with my face buried in comic books. Anything to do with the story being "original" is high on my list. Everyone will have a subjective idea of how dialogue should be, or how a scene should be set up so you will never please everyone. I believe my strongest asset is my creativity. You can learn how to be technical and grow that skill-set, but learning to be creative is another thing altogether. About John A. Theo Jr.
John Theo, Jr. has numerous published articles on arts, culture and sports figures. He holds an M.F.A. in Creative Writing from Pine Manor College in Chestnut Hill, MA. During the day John serves as Vice President of Operations for Blue Sky Holdings, which owns many commercial fitness clubs. John is also an adjunct professor at Endicott College in Beverly, MA, where he teaches screenwriting. 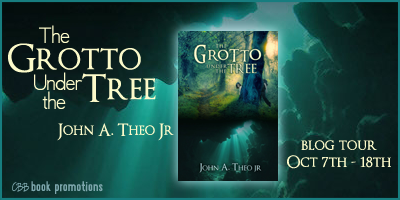 John's Book, The Grotto Under The Tree, has been released by Astraea Press. Thanks so much for hosting a tour stop! Love the interview!